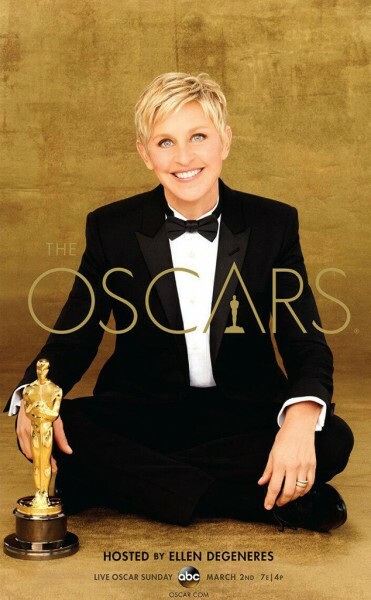 Announcement: 2014 Academy Award Nominations – Surprises & Snubs! This morning, actor Chris Hemsworth (who starred in last year’s “Thor: The Dark World” and “Rush”) announced the 86th Academy Awards® nominations with Academy of Motion Picture Arts and Sciences President Cheryl Boone Isaacs at 5:38am (pacific), from the Academy’s Samuel Goldwyn Theater in Beverly Hills, CA. Boone Isaacs described the announcement of the nominations as a celebration of “the heroes of moviemaking”, which led to her introduction of Hemsworth, “lucky for us, we have a superhero with us”. As expected, there are some inevitable surprises and snubs, which I will touch on below. Below are the entire nominees…. Surprises: Philomena, I suppose. But, it’s not that much of a surprise. “Dallas Buyers Club” has clearly benefited from an immense campaign. Snubs: No “Inside Llewyn Davis”. My favorite movie of 2013 didn’t make the list. It could easily replace “Dallas Buyers Club”. Surprises: Alexander Payne. He deserves it, but it’s a slot that many thought would go to Paul Greengrass for “Captain Phillips”. Surprises: Meryl Streep. I mean, really? When does she NOT get nominated. Snubs: It would’ve been great to see Brie Larson get a nom for “Short Term 12”. This category does have a tendency to once in a while include first-timers and relatively unknowns (like last year), but the choices here are quite predictable. Surprises: Bradley Cooper, I guess. Just because there was talks of Daniel Brühl (“Rush”) was also a name being tossed around. But, when I first saw “American Hustle”, I knew it would get nominated in every acting category, so here we are. Snubs: I felt Steve Coogan did some fine work in “Philomena”, but I didn’t think his name would make it. Surprises: Julia Roberts. I mean….I just didn’t see that coming. Her performance was fine, but not worth a nomination. Snubs: Honestly, none come to mind immediately. Surprises: I just don’t think “Dallas Buyers Club” should be on here. Snubs: “Short Term 12” would’ve been nice. Surprises: Ernest and….who?!?! Even though I’m not a fan of “Despicable Me 2”, I’m kind of stumped that this got a nom. Surprises: Never even heard of “Omar” or “The Missing Picture” – good for them. Snubs: No “Blue is the Warmest Color”. I guess it’s not surprising that this controversial French film got snubbed. It’s too bad, because it had some of the best performances of the year. Surprises: While, it’s good to see them there – “Cutie and the Boxer” (now streaming on Netflix) and “Dirty Wars” – two films which didn’t really get much “year-end” buzz. Surprises: Considering “Inside Llewyn Davis” didn’t get any love in any other category, I’m surprised. It deserves this nom but I’m still surprised. Also, “The Grandmaster” is a surprise – again, it also is a deserved nom. Snubs: Let’s just get this out of the way, Roger Deakins will likely not win – once again. Remember “Skyfall” last year? Surprises: All three of these are a surprise, actually. Really. Snubs: There’s a long list. NOTE: It IS cool though that “Bad Grandpa” got nom. Heh heh. NOTE: I’d be willing to wipe this category out all together. So….”American Hustle” and “Gravity” received the most nominations with each film receiving 10 nominations, while “12 Years a Slave” received 9 . Other heavily nominated films include “Dallas Buyers Club”,” Captain Phillips” and “The Wolf of Wall Street”. Academy Awards for outstanding film achievements of 2013 will be presented on Sunday, March 2, 2014, at the Dolby Theatre at Hollywood & Highland Center and televised live on the ABC Television Network. The presentation, produced by Craig Zadan and Neil Meron, also will be televised live in more than 225 countries and territories worldwide. I’m SO excited for the Oscars! I haven’t seen Blue is the Warmest Color, but am very surprised that it wasn’t nominated. Really annoyed The Selfish Giant hasn’t been nominated. Also, why has Labor Day not been nominated? Is it out too late for this year’s ceremony? I couldn’t agree with you more about Dallas Buyers Club’s Screenplay nomination. It’s baffling. The film has no climax and just sort of ambles to a conclusion. And any film that ends with a standing ovation (Star Wars excluded) should be ashamed of itself. That slot should have gone to Inside Llewyn Davis, Fruitvale Station, or even Gravity, which I know gets a lot of flack for its screenplay, but which I thought was lean and effective.